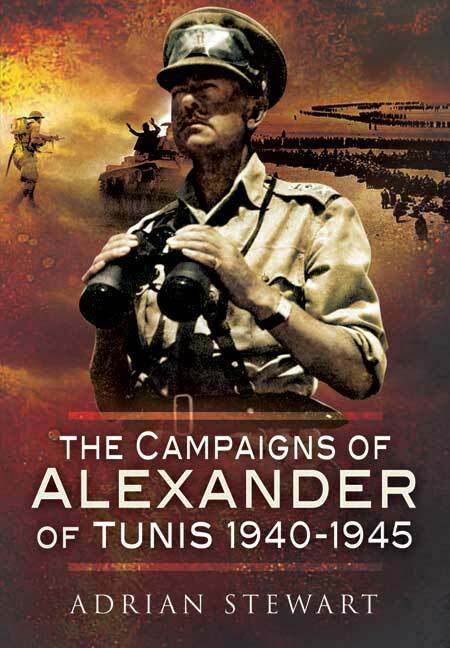 You'll be £4.99 closer to your next £10.00 credit when you purchase The Campaigns of Alexander of Tunis 1940-1945. What's this? Alex, as he was known whether by Prime Ministers or the rank-and-file, was a legendary figure. A hero from the Great War he saw active service in Russia in 1919-20 and against the Pathans on the North West Frontier in 1935. By 1940 he was a divisional commander with the BEF in France. His conduct during the withdrawal through Dunkirk where he took over the British 1st Corps in the crisis confirmed his outstanding ability. In the dark days of 1942 by now a full general he was sent to Burma with orders to hold the Japanese at Rangoon. Just in time he realised this was impossible and his decision to withdraw prevented a total disaster. Despite this defeat he retained Churchill's confidence and he was appointed C in C Middle East. While eclipsed in PR terms by his subordinate Montgomery, many felt that Monty owed his success to Alex by protecting him from an increasingly impatient Churchill. Alexander went on to command the invasion of Sicily and as Army Group Commander masterminded the long slog up through Italy. His charm and easy nature were his greatest strengths as others worked enthusiastically with him. But critics have sought to prove that he lacked true ability and steel. This objective work's conclusions will be eagerly awaited. There have been at least 6 other books written on Field Marshal Alex. This is the seventh and makes an excellent read. The background to Alex's life up until 1939 is dealt with briefly and the meat of the book concentrates on his qualities as a commander at Divisional level and above but with plenty of references to the Micks. A well-researched and well-written book, it is an easily-digestible insight into the greatest Mick officer of the war.